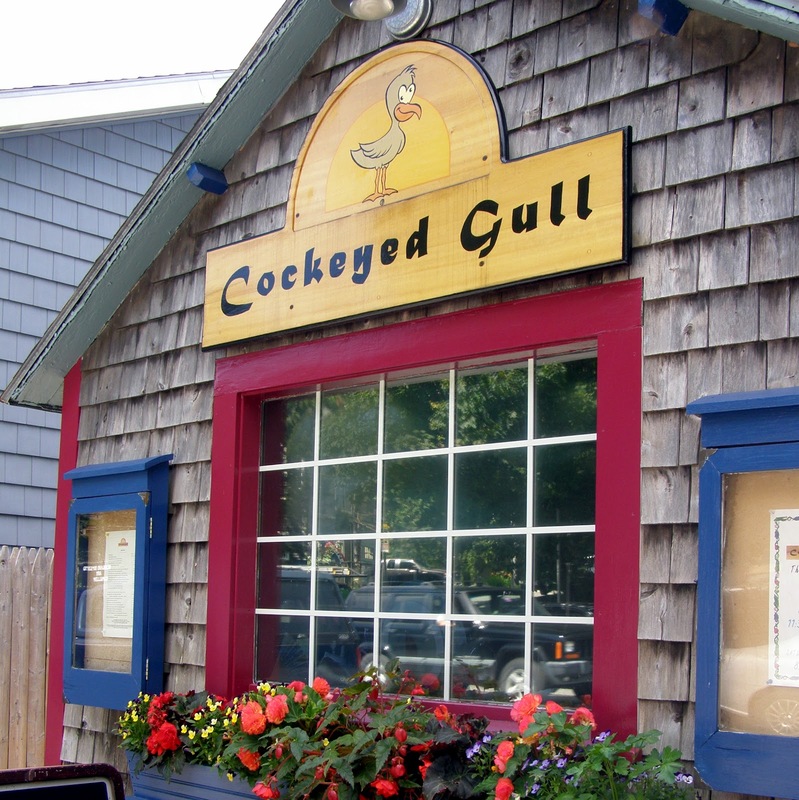 "The Cockeyed Gull, located a short distance from the Peak's Island ferry dock, offers a friendly and intimate atmosphere for dining with family and friends. Both the open air deck and dining room offer outstanding views of Portland Harbor and the city skyline. On a clear day Mount Washington in New Hampshire can be seen. We look forward to welcoming you and offering you our traditional and innovative cuisine..."
"Our full service restaurant offers lunch and dinner seven days a week in season. The goal of the Peaks Island House is to offer carefully prepared food, at a reasonable price, in a beautiful oceanfront setting. We are committed to offering a wide range of dining choices to please every taste. We use locally obtained seafood and produce. 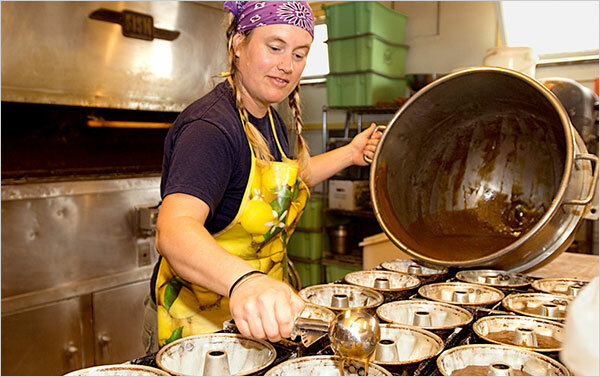 Desserts are made on sight fresh every day. You can choose to join us on our deck or at our Gazebo dining area just steps from the beach. Our kids menu is aimed to please..."
"Enjoy a casual lunch overlooking the Portland skyline or a beautiful sunset dinner in our Pub. Featuring fresh Maine seafood, crisp salads, and creative pub fare with a flair. Kid’s menu available. Full bar. Featuring cask conditioned, award-winning Shipyard ales from the Inn’s own 15 gallon brewing system..."
"The overnight temperature is dropping toward frost this week and probably won’t rise above it until May. Most of the cruise ships are gone, and with them the fudge buyers, the lobster seekers and the chowderheads who clog the Old Port neighborhood in the summer. But the quiet and the chill are deceptive. 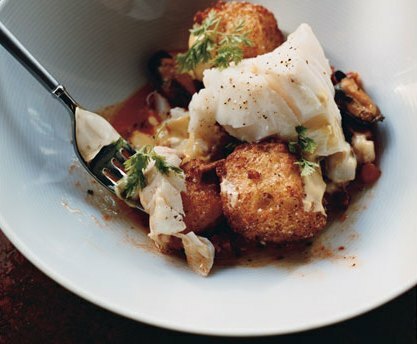 Portland’s many chefs and bakers, its turnip farmers and cookbook sellers and assorted mad food geniuses are gearing up for another lively winter...."
"Portland, Maine, has long touted its multitude of restaurants, where diners can enjoy perfectly steamed lobster, great fried clams, and other well-prepared—if predictable—food. But in recent years, a new generation of intimate chef-owned establishments has been serving inventive creations starring Maine’s bounty (lobster, yes, but so much more). Culinary tourists from New York, Boston, and elsewhere make pilgrimages to the most-talked-about places, joining legions of local devotees. In 2004, the James Beard Foundation named Fore Street’s Sam Hayward the Best Chef in the Northeast. 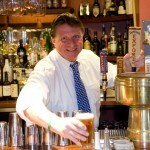 Rob Evans of Hugo’s garnered the same award in 2009. 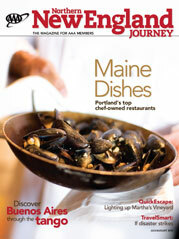 Also in 2009, Bon Appetit named Portland 'America’s foodiest small town.' According to the magazine’s restaurant editor, Andrew Knowlton, 'A lot of Portland’s restaurants would be great even if they were in New York City...."
"Did someone say summer Fridays? It’s three-day-weekend season, but a short trip is no time to tackle a giant like SF or NYC, where you won’t get your bearings before heading home. Instead, you want a smaller city, where you can hit every great restaurant without getting near a rental car or subway. (And it’s summer, so it’d be nice to see some coastline.) 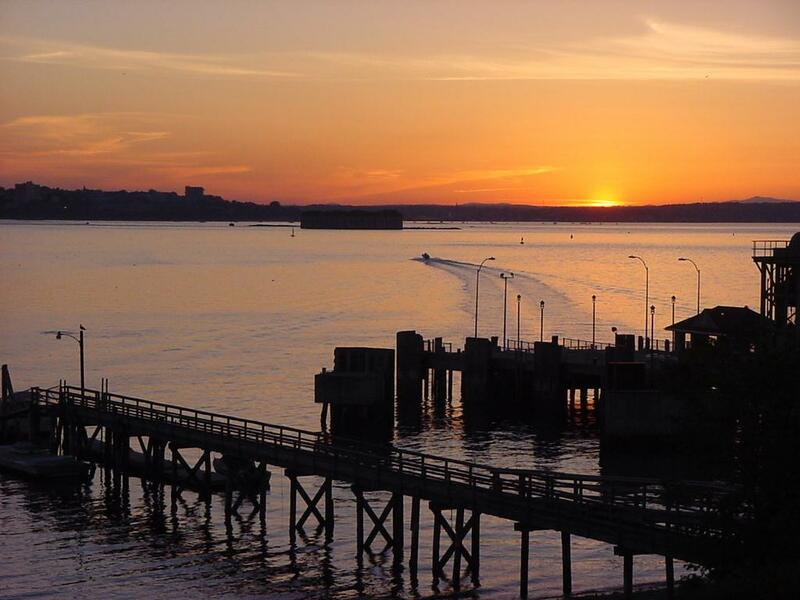 In 2016, that spot is Portland, Maine, which has all the crunchy fried clams and tugboats of a classic New England getaway, along with the dining chops of a larger place. You’ll get the lay of the land in a few hours, then build your own restaurant scavenger hunt from crudo to khao soi, with plenty of lobster rolls and natural wine in between. Everything is within walking distance, which comes in handy after you’ve had some cocktails. Still debating whether to take that day off? Portland has eight excellent reasons why you should..."
"On an unseasonably warm Sunday evening in late April, 70 or so locals of Portland, Maine, allowed three guests "from away" (me, my wife, and our daughter) into an underground dinner party called Deathmatch. With a name like that, I didn't know what to expect. Lobster fighting? Blueberry wrestling? Deathmatch, as it turned out, is an invitation-only event at which several of Portland's talented chefs cook around a theme. That evening, the challenge was Last Meal, or "What would your last meal be?" Lucky guests, many dressed in funereal black, were served 18 courses and lots of booze. For one chef, Last Meal meant caviar and crème fraîche on potato chips. For another, it was handmade tagliatelle with white truffle. But it is the most straightforward dish that I remember best—grill-roasted local Damariscotta oysters served with hot sauce and a squeeze of lemon. I ate one—it was briny, spicy, tart perfection. By the sixth oyster, it hit me: I had to go back to the team at Bon Appétit's offices and make a case for Portland to be named this year's Foodiest Small Town in America. Why? First, it's got great product, from oysters to fiddlehead ferns. Second, the town has attracted stellar chefs who know how to turn these resources into great food. Third, it even has a signature meal, breakfast, that turns the first fare of the day into a celebration of all this bounty. And finally, it has citizens who expect a lot, and get even more..."
Did you know that Portland, Maine is the Beer Capital of the Northeast? Follow the link to learn about our favorite breweries and brew pubs!